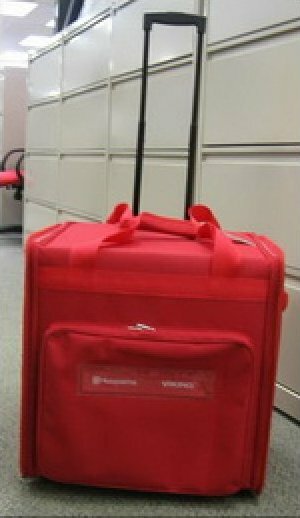 Collapsible, extra reinforced wheeled bag is 19" wide, 17" front to back and 13" high. Precision Extra-fine points, curved blade for easy access in hard-to-reach areas. Ideal for applique work & gets into tighter seams. These scissors are on back order. Double curve allows access inside the embroidery hoop. Perfect for machine embroidery, quilting, and sewing. 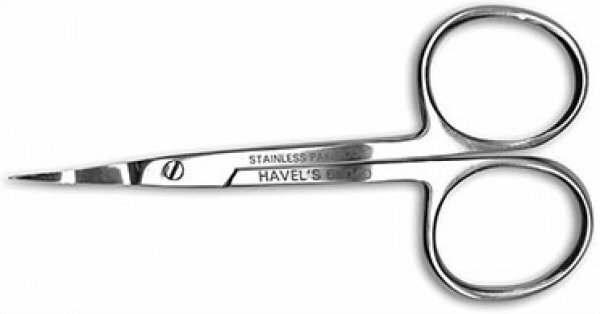 Precision knife-edge blades, angle allows for easy access for hard to reach areas, and flawless controlled cuts. Micro-serrated curved blade for precise cutting, Squeeze spring action handle, and curved tip fits under presser foot.